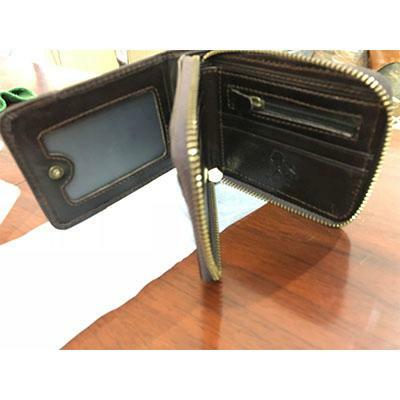 RFID Blocking Technology: This money clip or business card holder can protect your private information and credit cards, ID card, passport, driver license from thieves' scanning devices, ensure your private property safety. This item can only ship to Australia, Canada, Finland, France, Germany, Spain, United Kingdom, United States for now. We will expand the shipping address as soon as possible. Please stay tuned. It was a gift ..we were both extremely surprised by how well packaged and detailed quality of this wallet!!! 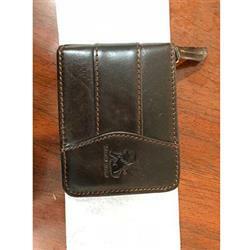 Size of wallet is appropriate for men pants back pocket. Looks sofisticases and has good space to credit cards, money, coins, drivers license and other ID cards.